Despite many Marvel Cinematic Universe films and numerous Spider-Man reboots, Miles Morales has yet to get his shot on the big screen. The next Peter Parker movie stars Tom Holland in 2017. Meanwhile, fan favorite Morales is the main Spider-Man in comics right now but alas there are no plans to introduce the bi-racial character in live-action. 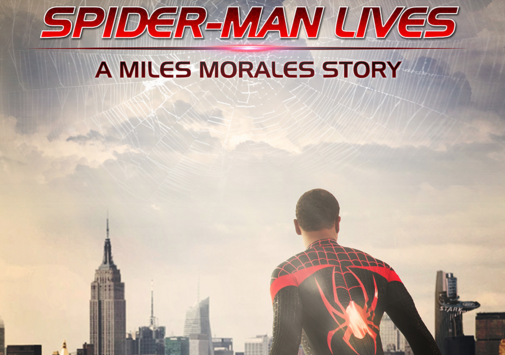 Leave it to fans to make it happen with "Spider-Man Lives: A Miles Morales Story." Bard Tales Productions in association with Lucky 9 Studios produced this high quality 9-minute short written and directed by Ivan Kander. Reeling from the death of Peter Parker, Miles Morales has to overcome the uncertainty of taking up the mantle of the webslinger. A confrontation with Kangaroo and his thugs make up the bulk of this well produced video with a great score, high production values, decent fight choreographer and skillful direction. Not your typical fan film, it's certainly better than most we've seen. Watch it now and share your thoughts in the comments below.